Design build of natural swimming pools and other type of water features such as water gardens and fountains. Distribute kits and "how to" advice for building natural swimming pools and garden swim ponds. Rick's Swimming Pools, Inc. is a family owned and operated company based in Lewiston, Maine that was established by its owner, Rick Beaudoin, in 1987. Since then, his wife and 2 sons have joined him in a full-time capacity. We take pride in providing quality service and products to our customers. We are proudly celebrating our 27th year anniversary in business. Our Services and Products We sell, install & service residential inground & aboveground pools & hot tubs throughout Androscoggin, Sagadahoc, Franklin, Oxford, Kennebec and Cumberland counties. 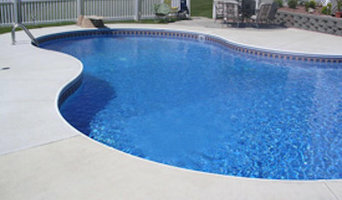 Our services include pool openings & closings, liner replacements, pool/hot tub maintenance & repairs, pool/hot tub chemicals & accessories and free in-store computerized water analysis. Our Showroom We welcome you to visit our showroom, which is open year round. Our friendly & knowledgeable staff is here to educate you in proper chemical usage, complete in-house equipment inspections/repairs and provide you with pool & hot tub information. We take the time to assist you with any questions that you may have. Our goal is to ensure that you have an enjoyable experience with your pool or hot tub! Ledgewater Pools is a full service pool company serving Southern Maine for over 30 years. We build liner pools as well as offer service and repairs on gunite pools. Welcome to Custom Pools. We’ve been building pools with a commitment to quality since 1968. Now, with three generations in the business and over 4800 pools in the ground, we’re here to help you design and build the custom pool of your dreams. With our certified, experienced team, you can trust the area’s original custom pool company for a quality gunite pool that you’ll love for years to come. No matter how big or small your project, our mission is to make you and your family happy. From our family to yours, we look forward to helping you Get the Pool You Want this season. Our pools are designed and built with both structural integrity and elegant design in mind. From the initial design stage, all the way through the construction process, your pool will always be designed and built with the highest quality standards in the industry. In Maine, hot tubs from Milton's Spas of Maine can help you melt the stress of the day away in your own backyard. With a wide range of sizes and styles to choose from, you can find ways of creating the life you want to live, with the luxury you can afford. Luxury is within your reach and you don't have to sacrifice quality, either. Sundance Spas offers you a high quality, easy to maintain, low chemical option for your yard! Sundance continues to be the only manufacturer with the "Good Housekeeping Seal of Approval." Sundance Spas offers you the least maintenance, the least chemicals, and the least time investment so you can enjoy, enjoy, enjoy! The Pool Shed, Inc. was established in 1972. We are owned and operated by brothers Shawn Surette, Eric Surette, and Adam Surette. This is our 42nd year as a full-time in-ground swimming pool dealership that has provided customers with quality workmanship and components since day one. There is no substitution for genuine quality, which has been the foundation on which we built our business. We have earned our well-known reputation as a leader in the pool trade by designing and building the highest quality swimming pools with a strict attention to detail and never resorting to gimmicks or come-ons. Our service after the installation is unsurpassed; whether dealing with a residential customer or a commercial account, we do our very best to please everyone we serve, always! With over 26 years experience in the field, customizing your pool is what we do best. Our company is based on the belief that our customers' needs are of the utmost importance. Our entire team is committed to meeting those needs. We would welcome the opportunity to earn your trust and deliver you the best service in the industry. Quality swimming pool at a great value? We’re here to make the experience enjoyable, every step of the way. We have built thousands of swimming pools throughout NewEngland.reputation, integrity, and above all, commitment to the customer, are just a few of the reasons why Cape cod Swimming pool Construction is the company to partner with when you are ready to build your pool or spa. For over 50 years, ABC Pools has been a fixture in this community providing the Central Maine area with quality above-ground swimming pools, spas, accessories and related equipment. Whether visiting our showroom or speaking on the phone, feel confident our sales staff will guide you through the entire buying process and stay with you throughout the life of the pool or spa. Our staff realizes that buying a pool or spa requires a commitment in time and money on the part of the homeowner. That is why we work so closely with the buyer, to ensure that the ownership experience is a pleasurable one. In addition to sales of pools and spas, we are a full service retail store for accessories and supplies. Merit Pools & Spas has been servicing the needs of pool customers in the central Maine region for over 40 years. We are committed to achieving excellence in every phase of our business. Our goal is to provide high quality service at reasonable rates. We only sell the highest quality products because as a company, we believe that you are what you sell. 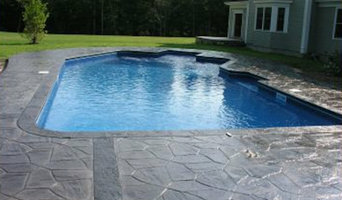 Northern Pool & Spa is a swimming pool construction company that specializes is gunite and vinyl liner unground pools. We start the process with the homeowner and are with you until the pool is filled with water . We can help you design the perfect backyard paradise for you, your family or any particular setting you might e looking to design. Our company has over 30 years of being in the business offering craftsmanship unmatchable, service that most companies desire and the friendliest staff to help you through the process fro Start to finish . Give us a call we would look forward to putting you on our schedule for spring . What exactly do Portland pool builders do? If you are planning for a new pool in Portland, ME, a swimming pool builder will analyze your outdoor space and your aesthetic wishes to determine an appropriate design for your yard, installing it once the plan is developed and approved. Once installed, some pool companies in Portland, ME can handle the necessary cleanings, water testing, renovations and equipment replacement or repairs for your pool or spa. If not, many can also suggest Portland, ME swimming pool contractors or maintenance services to help with upkeep or repairs down the road. Here are some related professionals and vendors to complement the work of swimming pool builders: Garden & Landscape Supplies, Landscape Architects & Landscape Designers, General Contractors, Landscape Contractors, Solar Energy Contractors. Before hiring a swimming pool construction company to create your new Portland, ME pool, determine how you'll be using it. Will it be for fun or for lap exercise? Will the primary users be children, adults or a mix of the two? Knowing the use can help you find Portland pool builders who shares your aesthetic. Once you find swimming pool builders in Portland, ME who share your style, research is critical. Review customer references and comments, collect at least three to four estimates to compare, meet with potential Portland pool designers and builders in person and ensure that they are Maine certified service professionals and licensed with the registrar of contractors before making any final decisions. In addition, get a sense whether they plan to complete the pool installation and be done with it, or whether they seem interested in building a long-term relationship with you. Be wary of the former: it's likely a reflection on the level of quality of the pool construction they do. Find a Portland pool contractor or designer on Houzz. 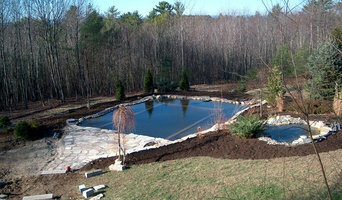 Narrow your search in the Professionals section of the website to pool builders in Portland, ME. You can also look through Portland, ME photos by style to find a pool or spa you like, then contact the local pool company who designed it.